A Dania Motorcycle Accident Attorney you can trust is at the Law Offices of Robert E. Gluck, P.A. 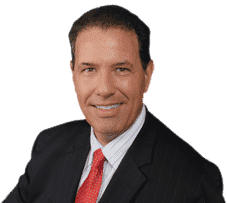 Robert Gluck has been a lawyer since 1989 and has the experience necessary to represent you in your case. If you've sustained injuries in a motorcycle accident that wasn't your fault, call us right away and we will get to work on building a strong case to get you the compensation you deserve. In any type of case, it's important to gather the evidence needed to prove negligence existed and that was the cause of your accident. Negligence is the legal standard of conduct one must follow to avoid injury to other people. If your Dania Motorcycle Accident Attorney can prove negligence, the person at fault may be held financially responsible. Dania Motorcycle Accident Attorney Robert Gluck will open a full investigation into your claim and gather any evidence he can find. He will take photos, find and speak with witnesses, secure video surveillance, and obtain any other evidence he believes will help your case. He is completely committed to making sure the outcome is a positive one. When you need a Dania Motorcycle Accident Attorney to represent you, call the Law Offices of Robert E. Gluck, P.A. Studies have shown that seeking legal representation can get you higher compensation than if you try to handle your case on your own. Robert Gluck will work hard for you to get you the financial compensation you need so you can focus on moving forward.